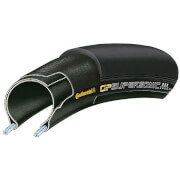 Continental have over 100 years of experience in developing and producing bicycle tyres. The high quality Cross 28 Inner Tube features a 42mm Presta valve and a larger volume than standard 700c tubes, so it's ideal for touring, cross or commuting. - A.D. These tubes were purchased to install with my new Continental Winter tires. With the thicker tubes they are, I should be good to go with climate changes and sturdiness against punctures! Works well. Could not buy a similar size locally so happy with service. This tube is nice and light. It also wears well.